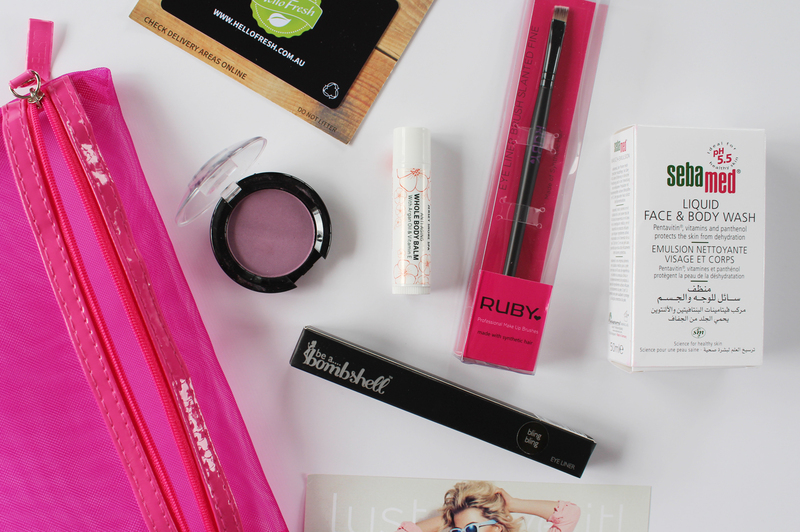 A new month means, of course, I have a new Lust Have It Women's Beauty Box* to unbox and share. The March box arrived early last week and inside are five products; four full sized and one deluxe sample size, with an interesting mix of different brands and products. Be A Bombshell has made an appearance in so many of the recent LHI boxes, and overall I think the quality of the products is a bit average, plus you can't actually purchase it from their website as they don't ship to NZ. Although other products haven't been amazing, I am excited about this eyeliner and love the metallic gold finish to it. It seems to stay on really well and is creamy and easy to apply. 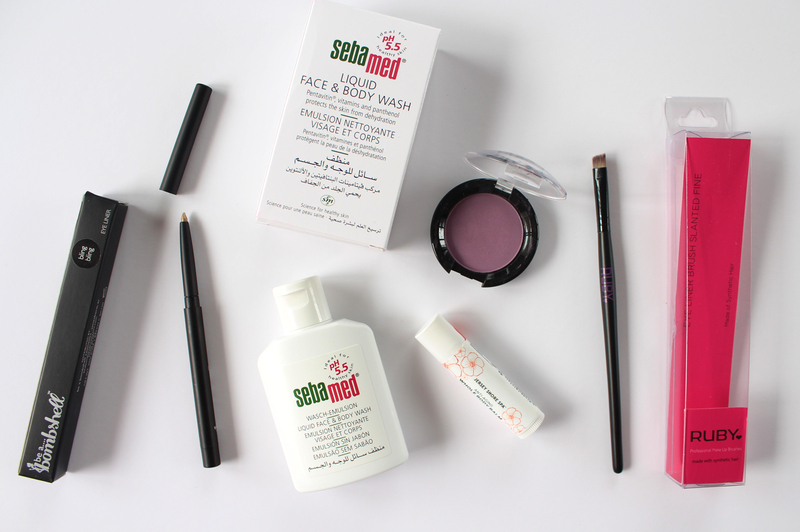 I have heard/seen Sebamed around before but never used any of the products. This a deluxe sample size of their Face and Body Wash, aimed at normal to sensitive skin. It apparently has an overall pH of 5.5 which is the pH for healthy skin. It promises a gentle formula, with vitamins and other ingredients to boost hydration of the skin. Having never heard of this brand before, I did a bit of Googling to find out a little more about it and here's a quick rundown. They're a Europen brand, which by the looks of it are Polish, but they sell in other European countries too. However, that's all I could really find because the rest of it was in Polish! The eyeshadow though does have great pigmentation for a matte shadow as you can see above, but doesn't feel as 'creamy' (I use that term loosely, but hopefully you get what I mean), or soft and buttery like other matte shadows.The colour isn't something I reach for, but I am willing to give it go! Initially, I had a little lol over the fact this is called Jersey Shore Cosmetics and couldn't get the image of Snooki out of my head. Getting past all that strange visualisation, this Body Balm, and the brand seem really nice. It's made in the US, is all organic and cruelty-free and this stick balm can be used on the lips, and on dry skin, particularly your hands. It even says on the tube you can use it before bed to remove makeup smudges and nourish the lashes, which is an interesting concept! It is packed with a load of good oils, such as Jojoba, Argan, and Coconut and it smells lovely too. I love when they pop in makeup brushes because I feel like you can never have enough of them. This is an Irish brand of brushes and you could have received 1 of 4 different types of eye brushes. It is made with synthetic hair and feels very soft. The slanted tip makes it great for liquid or gel eyeliner, powders, brow products, and could even be used as a lip brush. I'm really happy with this product! The March Women's Beauty Box has an overall value of AUD $80.00, which is great considering the subscription price is AUD $19.95 plus $2.95 for shipping to NZ. There was a good range of products in this one and some intriguing new brands to try out as well. If you want to give this subscription service a go and live in NZ or Australia you can use the code CASSMYEE1 for $5 off your first box! Do you receive Lust Have It? What do you think of this month's contents?